Look, I love Captain America, and I love Captain America: The First Avenger; it’s one of the few Marvel movies that I actually like more each time I watch it. One of the reasons why it was such a success was the character Peggy Carter, whose strength as an independent character made her both stand out amidst other female comic book movie characters and established her as a viable subject for her own television series. She had both a compelling history and a captivating actress playing her in Hayley Atwell, and could command attention on her own terms without the need to be defined by her relationship with Captain America. 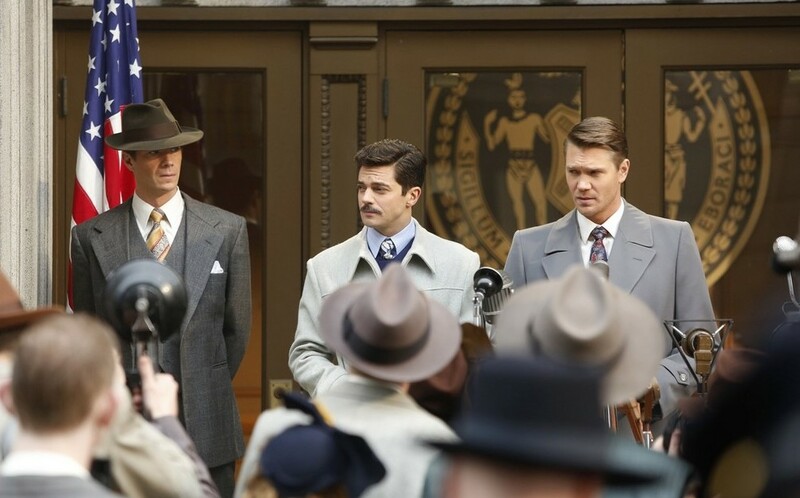 So how did Agent Carter’s finale repay its lead? By making itself all about remembering Captain America and the man who couldn’t save him while pushing the heroine aside in her own story. When the pilot contained scenes of Peggy haunted by Captain America’s disappearance after his noble sacrifice, I never imagined that the show would actually turn that into a major plot point that defined where the story lead to. And yet, somehow, despite never having any major thematic or story-based connection to Peggy’s investigation of Leviathan at the S.S.R., the specter of Steve Rogers’ death continually loomed overhead like a grey cloud that wouldn’t go away. Then, in a nakedly manipulative move, this all came to a head in the emotional climax of the finale where Peggy has to plead over the radio for a brainwashed Howard Stark to not gas New York much like she did the same when Steve Rogers decided to sacrifice himself to stop Hydra’s plan. What makes this conclusion to the finale so disappointing is that the story shifts its focus from Peggy to Howard and suddenly the crux of our investment lies in Howard’s guilt over the weapons he invented and his failure to save Cap from his icy fate. Howard is certainly an integral figure in the Marvel Universe but to make the finale all about his salvation as well the heroes’ ability to move on from their sacrificial male icon feels like a disservice to the story about a female secret agent struggling to work against male dominance at her job. Atwell gives it her all as Peggy tearfully struggles to get through this déjà vu of events, but it’s not enough to distract from the unease of her serving Howard’s arc instead of the reverse. Luckily, all of this stuff only happens in the last 15 minutes or so, and everything else surrounding it is pretty great even if Howard remains an attention hog both as a character and a focal point in the story. Dominic Cooper plays up Stark’s arrogance after turning himself in to the S.S.R. while still retaining his easy-going charm, particularly when he tells Thompson to say that they “are humbled by his brilliance” before a press conference. And of course, with him being Howard Stark, his numerous flings with women meant that Dottie once used that to get close to him for information. The sins of the past haunt Howard in more ways than one. Dottie gets plenty of time to shine in this finale. She’s used her girlish persona to manipulate others into doing her bidding in both the past and present, but actress Bridget Regan takes the opportunity to infuse that into the character’s actual personality. During her much-anticipated clash with Peggy at the end, a breathlessly satisfying bout filled with hard punches and blunt instruments, Regan brings a childlike glee to the punishment Dottie brings down on Peggy. Her brief moments of triumph show delight in dishing out the violence, something that ends rather unexpectedly when Peggy kicks her out the nearby window. However, it looks like this won’t be the last we see of the nefarious Dottie Underwood. In a show all about female empowerment, this was perhaps the most empowering bit of all, one that reasserts the character’s self-confidence and worth and helps to (slightly) alleviate the finale’s unfortunate shift in focus to the male characters, both living and frozen. There’s hope in the future as well, with Peggy and Sousa showing affection for each other even as she delays his advances, along with Peggy echoing the end of Titanic as she dumps Cap’s blood into the East River and finally learns to let go. 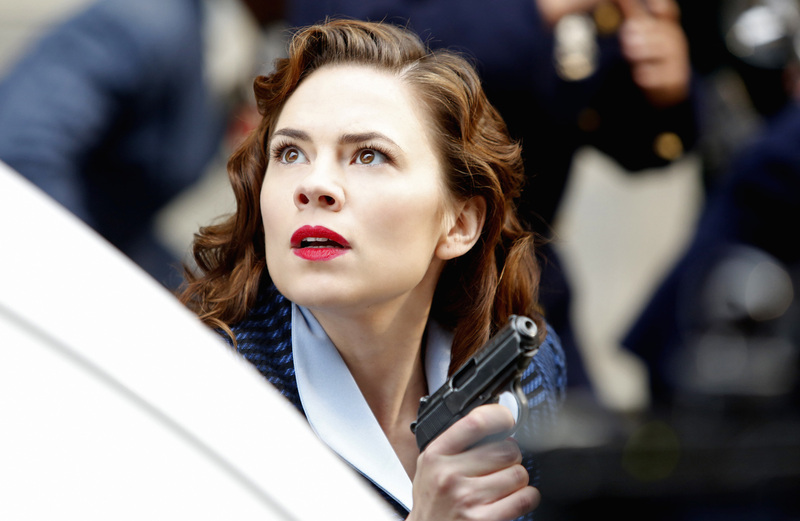 Even with the bumps along the way, I’d rather not let go of Agent Carter, which provided a well-deserved spotlight for one of Marvel’s best female characters and the chance to elaborate on previously unexplored territory for the overarching universe. Previous ArticleTV Review: Better Call Saul (1x04) - "Hero"